Highest Quality in the world! 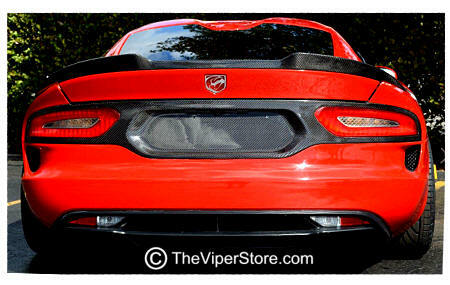 Hot bold look with this carbon taillight surround hand laid by craftsman in the USA. 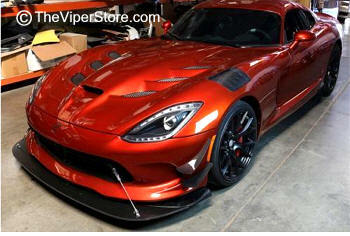 Its hard to make the Viper more impressive but these new pieces for the 2013-Current SRT Viper helps adds to the cars dramatic looks. 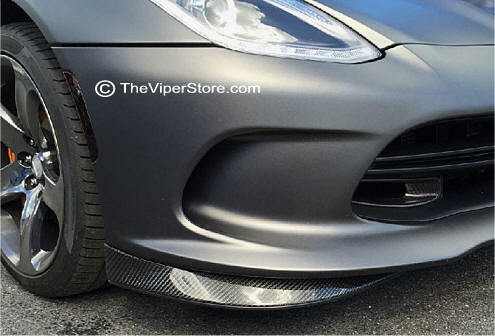 ALL Real Carbon Fiber construction. Higher quality - Stiffer, stronger and lighter than other brands. It is a replacement for the OEM part, works with the factory clips. Made in a USA - parts receive glossy clear coat that screams beauty as if it was from the factory. 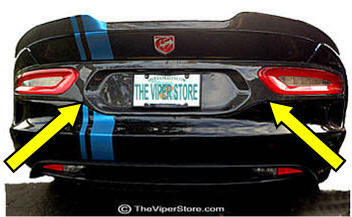 Installation requires drilling of the rear bumper and double face tape. ***These parts are only authorized to be installed by a Dodge Dealership ONLY. Engine bays, radiators, and brakes all need good air flow to help transfer away unwanted heat. 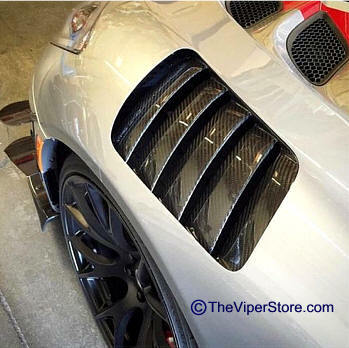 Built using pre-pregnated carbon fiber reinforced polymer (CFRP) composite materials for superior strength-to-weight ratio, Air Ducts add both function and "lightness" where it counts. Highest Quality in the world! Made in America! 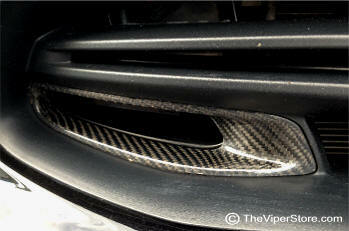 ALL Real Carbon Fiber construction hand laid in the USA - Stiffer, stronger and lighter than other brands. 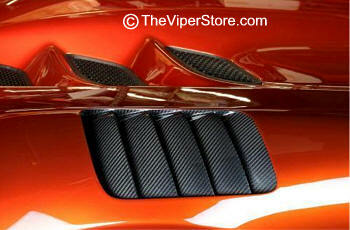 Accent your SRT Viper with these carbon fiber side air ducts. 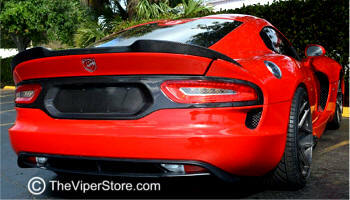 Its hard to make the Viper more impressive but these new pieces for the 2013-Current SRT Viper helps adds to the cars dramatic looks. 100% light weight strong Carbon Fiber. Great fit. 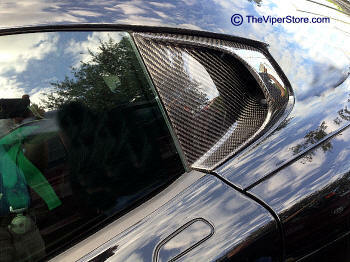 All carbon fiber parts with glossy UV clear coat. All parts fit with existing OEM hardware or include hardware where required. 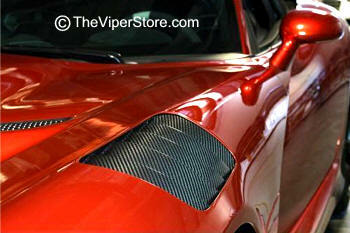 Highest quality - ALL Real Carbon Fiber construction, hand laid in the USA. Higher quality - Stiffer, stronger and lighter than other brands. 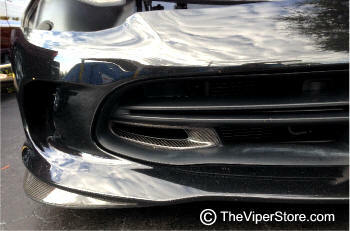 Accent your SRT Viper with these carbon fiber front brake ducts. 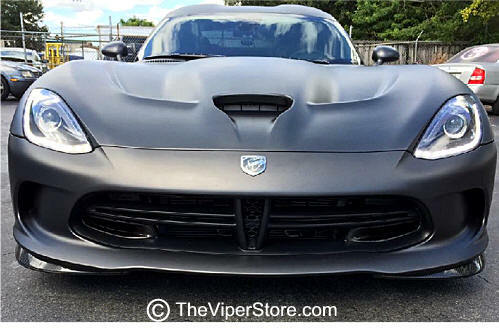 Its hard to make the Viper more impressive but these new pieces for the 2013-Current SRT Viper helps adds to the cars dramatic looks. 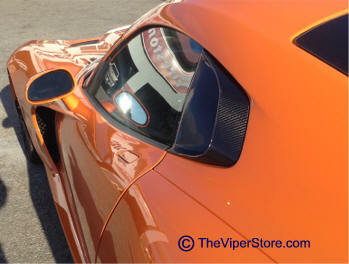 All carbon fiber parts featuring a glossy UV clear coat. 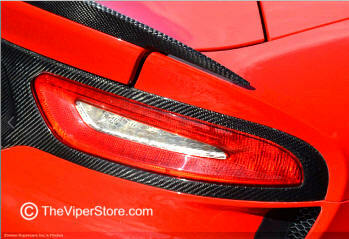 100% light weight strong Carbon Fiber. Great fit. All parts fit with existing OEM hardware or include hardware where required. Installation requires drilling of the front bumper.